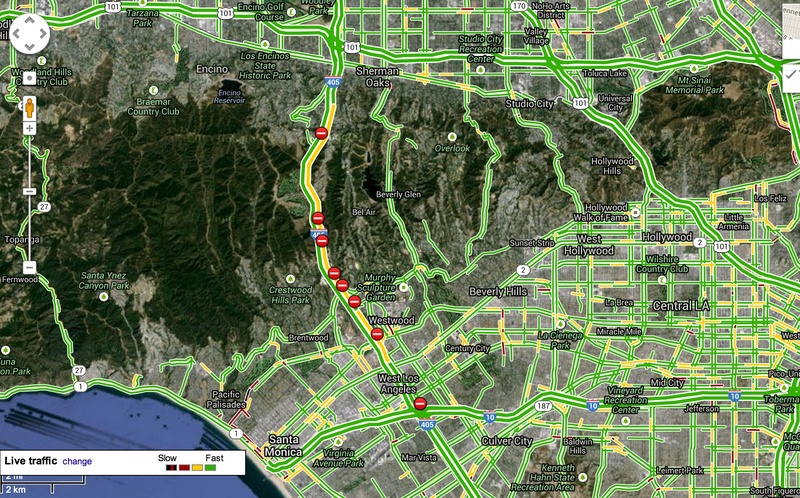 Two northbound lanes are now open on the freeway between Getty Center and Ventura Bl. 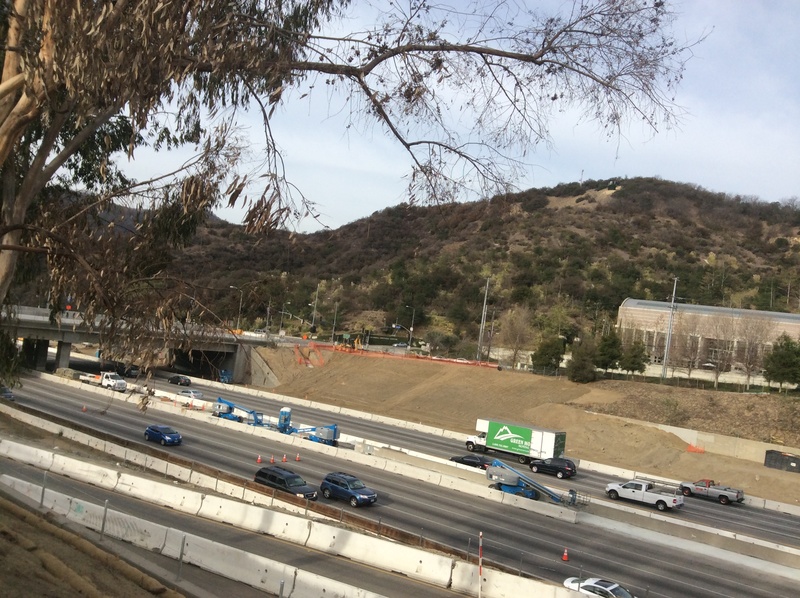 As we’ve been preaching, begging and imploring, please avoid the northbound 405 freeway today in the Sepulveda Pass area with repaving work now underway. The 405 over the pass simply can not handle the usual amount of heavy traffic that it sees on a normal Saturday — when everyone is out running errands, etc. To avoid a big traffic mess this afternoon, please just stay away. More on the Jamzilla 80-hour northbound closures are here. We’ll be providing updates throughout the weekend.